Ethan Rice: A Toddler's Story! : 18 Months Old Today!!! 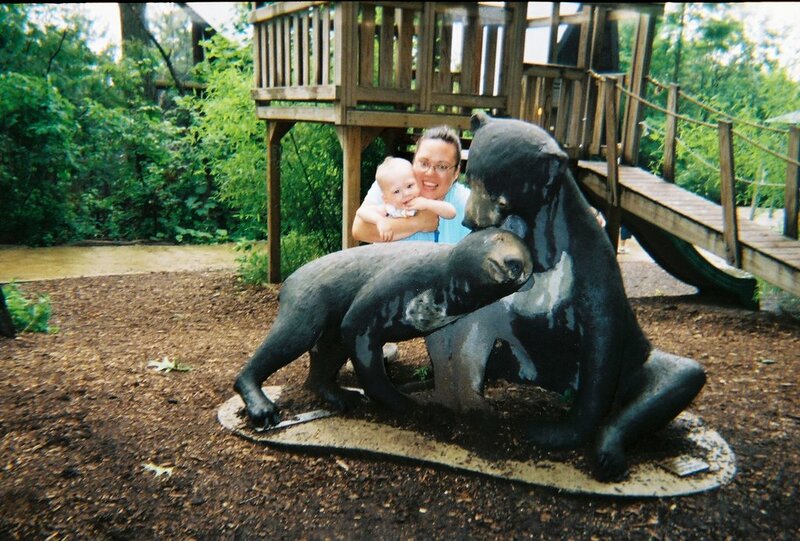 Here's a picture of mommy and me at the playground at the Akron Zoo! We were taking a break from looking at all the animals and we just had to take a picture together with the mommy and baby bears! Today I turned 18 months old! Mommy's happy! Lola, auntie and mommy took me to Eat 'n' Park for breakfast and I got to have a cookie. Mommy says I can have it after lunch! It's a halloween cookie and it looks scrumptious! YUMMY!!! Well, nothing much else to report here. I've been good and will tell you more after my check up appointment on Thursday!